Having spent most of our adult years exploring the south west and great southern areas of Western Australia, we recently set out on an extended trip to the North West of Western Australia. 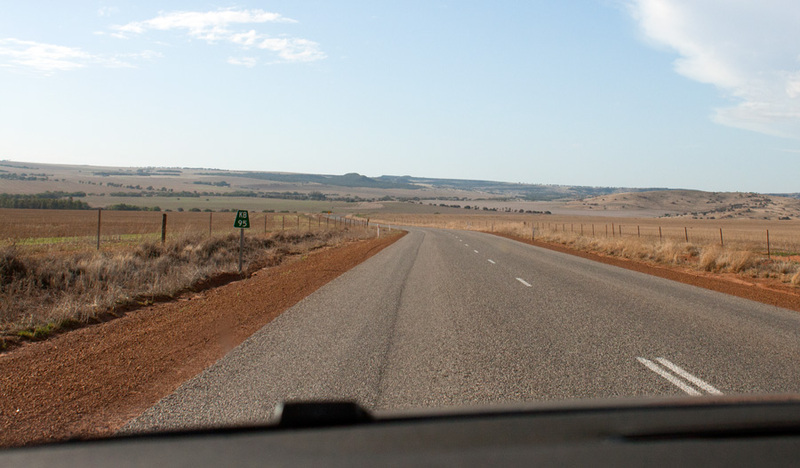 This post is a snippet into our 1,654 kilometre long journey over a period of three days. 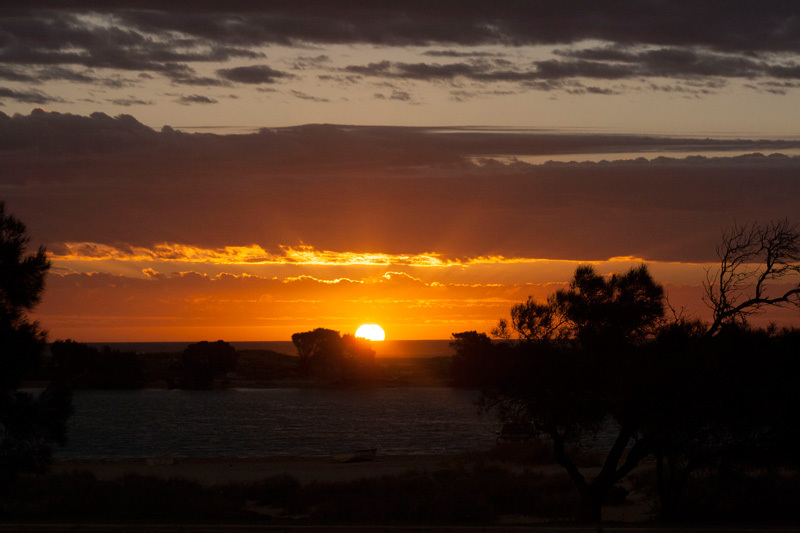 The north west of Western Australia can be a considerably unforgiving area, a hot climate and remote location. The tourism websites talk about an ancient natural landscape made up of magnificent rock formations, gorges, deep water pools, red dirt and a beautiful network of islands off the coast. Birds of prey and reptiles. 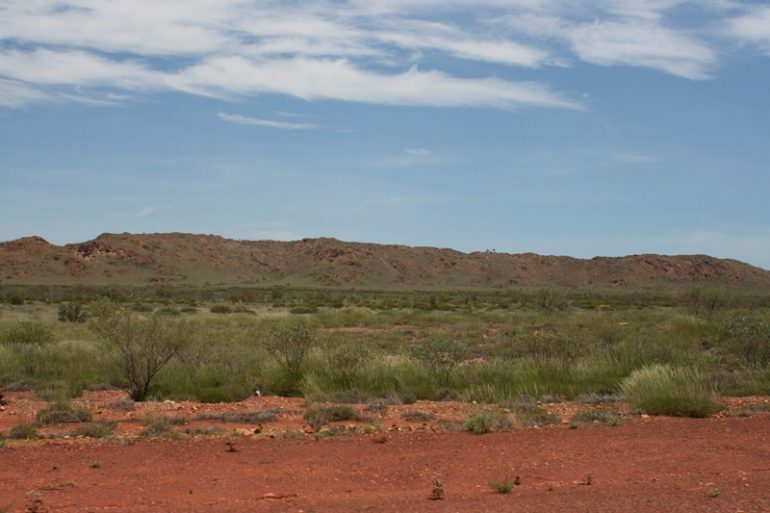 Outback towns and a FIFO hub with the likes of Fortescue and Rio Tinto operations. This should be an interesting next couple of months outside of life in Perth. 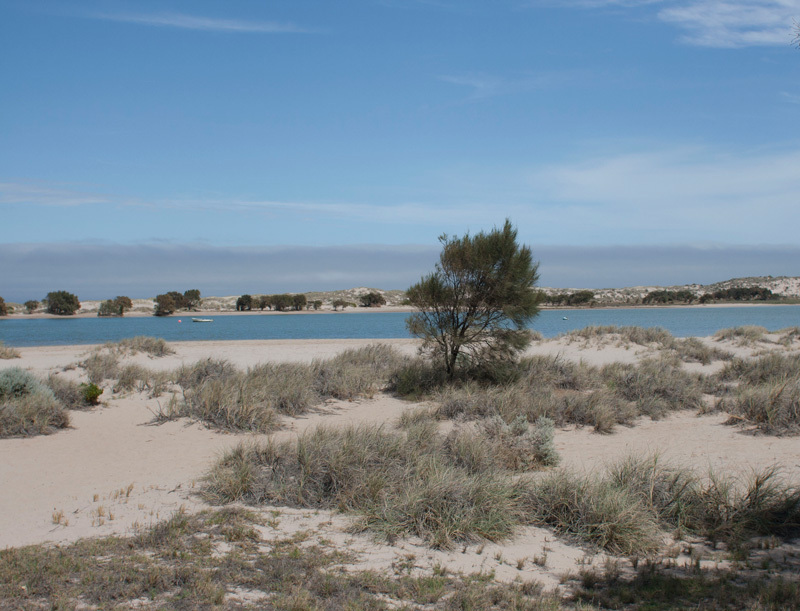 The first day took us along the coast and past popular holiday towns like Lancelin and Jurien Bay. The scene changes, we pass old shacks at Irwin, high ridges flowing into flat low lying agricultural land and a frack free town of Greenough, also as a dried up lake with burn out loops on it. 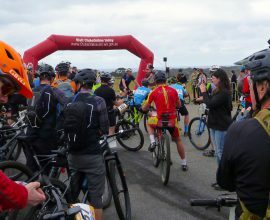 Having left Perth later than expected, we were unable to stop as much and our plans to have a coffee from the Jaffle Shack and walk around Geraldton had to be abandoned on this occasion. Instead, we refuelled the car and bought some microwave curry to eat for dinner. Leaving the large town and still 2 hours away from the evening’s stop, the regular houses and buildings drop away and the land opens in all directions with a few intriguing table top hills. We turn off at Northhampton on Port Gregory road travelling along the scenic route to Kalbarri, passing a nature reserve as well as a dry lagoon. We also pass the BAFS facility who formerly made VHS video tapes and has diversified into another industry – bit of a fun fact from Derek! We approach a number of turn offs to scenic look outs. I had read about the Bigurda Trail on the Long Ways Better blog and ambitiously hoped we would be able to squeeze it in, which we couldn’t, so it was handy to be able to access at least one beautiful view from the car park and without leaving our trailer of personal belongings. We pick up the unit keys from the airbnb host at the local tavern and an interesting conversation follows before heading off to the unit, conveniently next to the IGA supermarket and also closed. We were told to experience the sunset in Kalbarri and managed to catch it from the driveway of the airbnb unit as we unpacked the car. 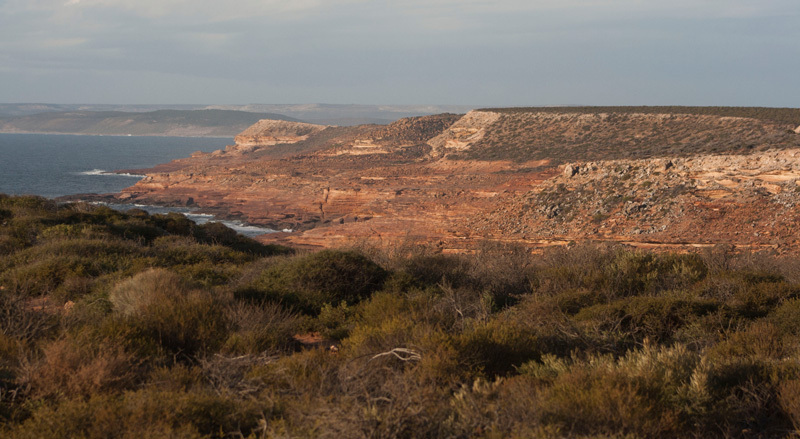 Kalbarri was a beautiful seaside town with some incredible gorges and cliffs. It’s virtually untouched from fancy upmarket establishments and looks like a place to spend a few nights particularly because all the attractions are considerably close to town. Day two travelling to the Gascoyne region marked the commencement of drinking many iced coffees loaded with sugar and we experimented with a couple of brands, finding Dare was the better one. 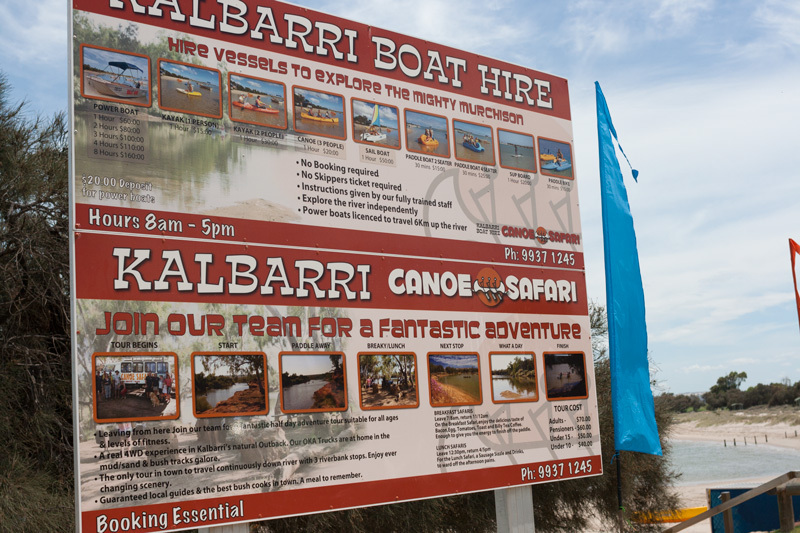 Departing Kalbarri, we travel along a road through the national park to join North West Coast Highway, effectively the only road that we will be travelling along to reach Karratha two days later, with the exception of our overnight stop. 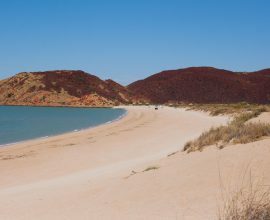 Our choice to overnight in Carnarvon was made because of the town’s handy position just off the highway, however other options include detouring a further distance to Shark’s Bay, Denham and Monkey Mia. 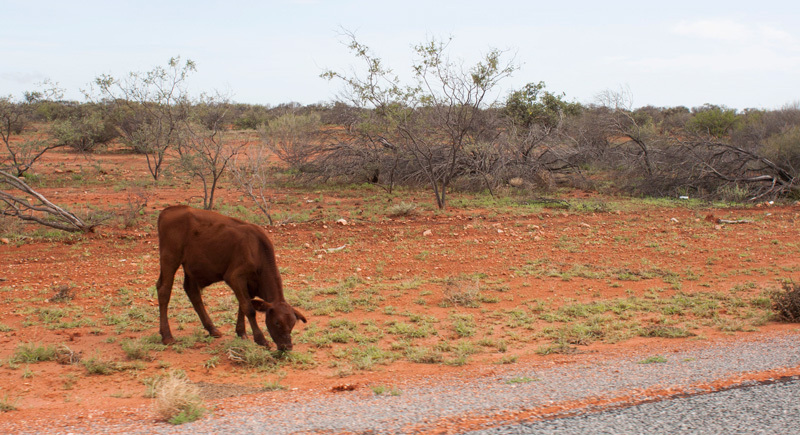 From the car we observe red dirt, pastoral stations, along with some fairly remote scenery. The highlight for the day is the bronzed looking eucalyptus trees, possibly from the disturbance of red dust. We also pass the 26 North parallel line, the imaginary latitude line where winter’s are warm and sunny. At one point the temperature outside reaches 40 degrees. Yes, we are driving into some hot countryside. Towing the trailer we find, chews a bit more petrol than expected. As we are in unfamiliar territory, we top up fuel at every second roadhouse to be safe. The compact map purchased at the local newsagent worked out to be very handy, it features the roadhouse stops as well as attractions to explore along the way. I wouldn’t rely on WIFI because there are sections of limited signal. We encounter stray goats and cows along the side of the road, but mind you they are so easy to spot because they do not blend into the terrain whatsoever. 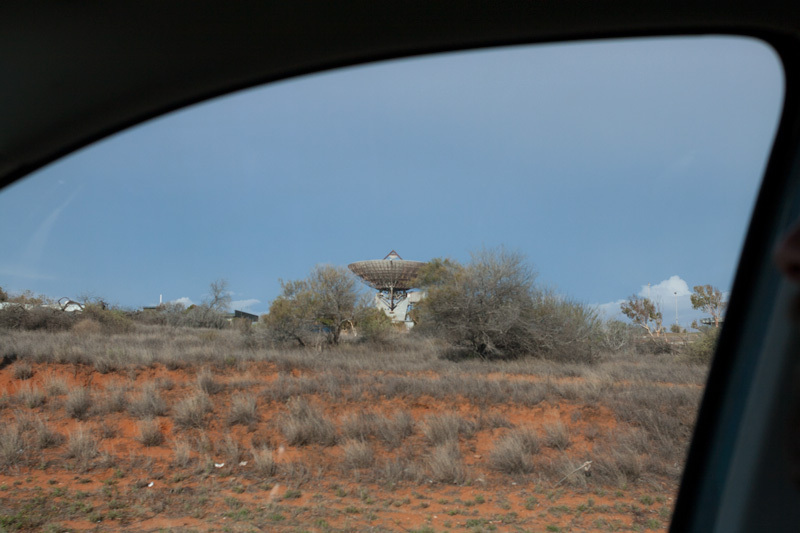 Driving past the satellite that assisted in Apollos moon project, we arrive into Carnarvon at around 6:00pm. The town is quiet, except for the loud insect noises. Our airbnb accommodation is right in town and as we pull up, the host is outside carrying out some maintenance. He’ll be staying in the care taker apartment and offers the use of his pool during our stay. Just before we settle into the apartment we’re on the driveway joking about something and Derek almost steps on a baby snake seen at the very last minute. Better get used to seeing snakes I guess! We fall asleep within one episode of Seinfeld. By far the most interesting day yet is the Carnarvon to Karratha leg, we set out at 6:00 am and it’s already 30 degrees outside of the car. 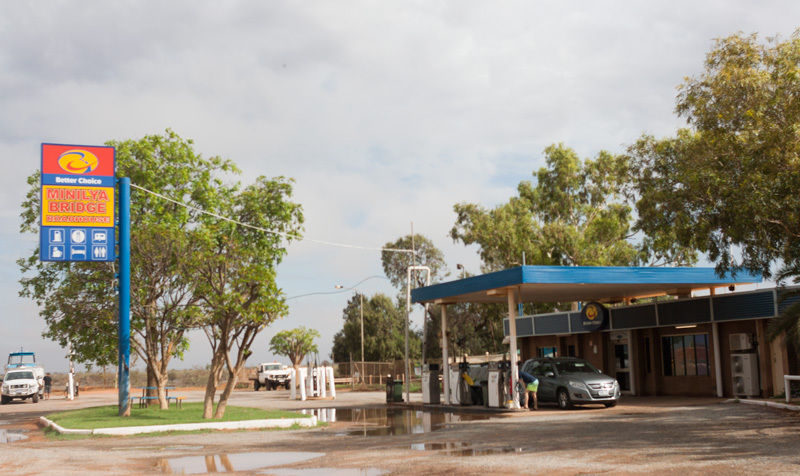 For the car ride, we pack some sandwiches and stop off at the servo in Carnarvon for a couple of iced coffees. Later on I’ll say that I just want to eat broccoli and drink water. The lady at the servo tells us to go to Kmart in Karratha and buy a blow up pool, indicating how hot it will be up there. 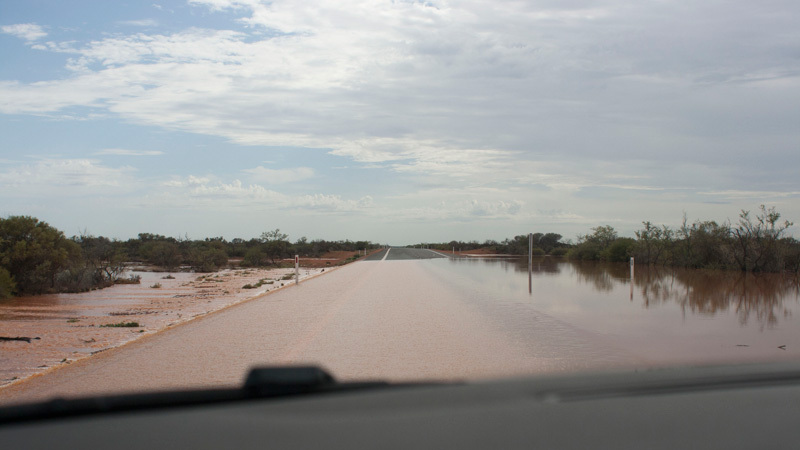 Eventually on the drive, flood markers and warning signs appear on the side of the road and we exercise caution. The roads up here are incredibly well maintained and we appreciate the warning signs. The area received some above average rainfall in the prior weeks temporarily cutting off sections of road. 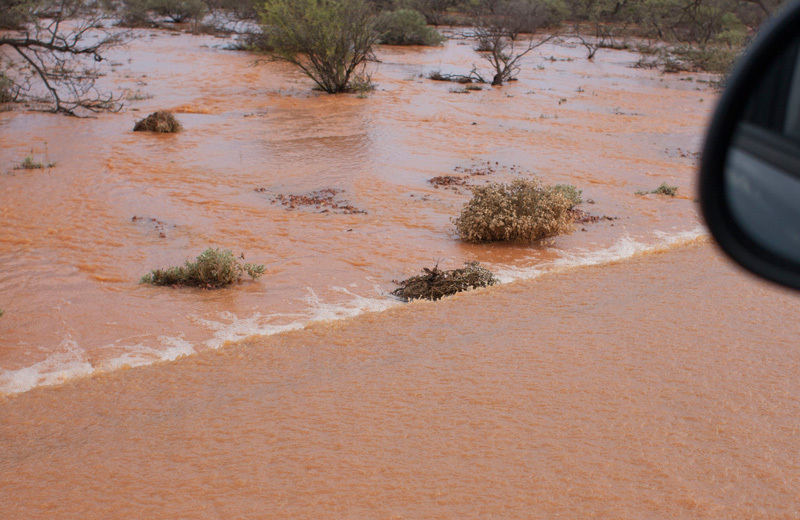 We constantly see a mirage in the distance and are caught out when one turns into a flood way. I’ll be honest, I’m a little nervous, first timer heading north. We were told to stop and if possible inspect the depth but also be aware of the risk of stopping on the road. The water level is quite low for now, the photo probably looks worse than it actually is. It may have risen later that day but we made it across fine. We discover during the drive a couple of creeks intersect the road, I assume these creeks run dry for some time until a major water event occurs. The road takes us on a bridge over the large creek and river systems. The roadhouses along this stretch have campgrounds and basic accommodation, as well as air conditioning in the toilets! It’s good knowing that if something were to happen we know where we could spend the night at the last minute. 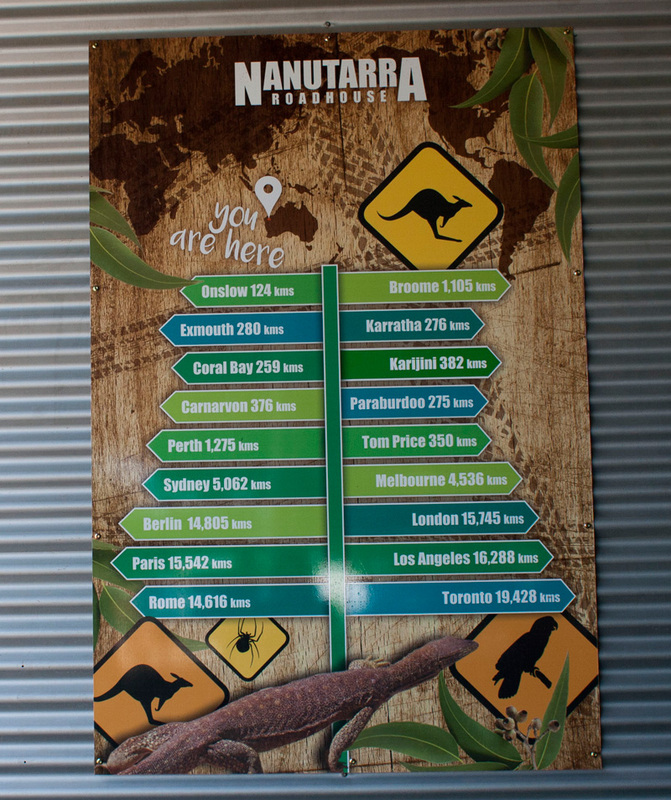 Minilya offer free coffee and Nanutarra has a small cafe and possibly the most expensive roadhouse in Australia! Mind you, they stock great sandwiches and rice paper rolls! There are also 24 and 72 hour rest stops along this stretch. 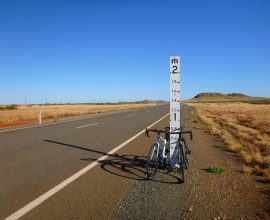 We pass the Tropic of Capricorn and from here we see plenty of bird of prey sitting on trees, a lone turtle crossing the road and many many lizards out sunbathing with heads erect. There are cattle stations without fences up here and we see a couple of cows. Three days and we haven’t seen a kangaroo though. Amazingly we see a wedged tail eagle on the road eating road kill. We drive on a section that is used as an emergency air strip for the Royal Flying Doctors Service, I look out the window and see no planes descending. We reach the Welcome to City of Karratha sign and no sight of the town, it’s a sign and more land. The town we find sits at the bottom of Karratha hills and about an hour from the sign. We made it and I can’t wait to cook a meal! North West Coast Highway is a single dual carriage way, so it’s really important to not drive tired on this road because of the threat of veering into oncoming traffic. 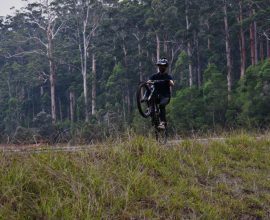 With a bit of time, it’s worth detouring off the North West Coastal Highway to the coastal towns along the coral coast like Coral Bay and Exmouth. If there is threat of flooding, approach the area cautiously and never cross into water of unknown depth or velocity. Worst case, turn around and spend the night at the roadhouse. Refresh yourself on emergency information here. Restock water and food at the roadhouses along the way. Fuel the car up. Eat and drink during the drive. Snacks that work well with us are sandwiches, sushi hand rolls (boil some sushi rice add a protein and wrap into a pocket with Nori sheets), trail mix raw balls, bananas, apples. If tired, pull over for a rest. Plan some rest stops. Hi! It was a refreshing experience to read your blog. You have wonderfully described your journey. I am excited to undertake this journey with my family. So, could you please guide me in relevance to the transportation and its cost? Thank you.